Heavyweight contender Kubrat Pulev 27-1 (14) had to overcome some shaky moments before stopping Bogdan Dinu 18-2 (14) in the seventh round of their scheduled 10-round clash at The Hangar in Costa Mesa, California on Saturday night. Romanian Dinu, 32, who was coming off a fourth round KO loss to Jarrell Miller, had Pulev in trouble in the fourth round, opening a cut over the 37-year-old Bulgarian’s left eye. But Pulev, who was making his US debut, regained control of the fight and eventually wore down Dinu with his pressured attack. “The cut was not that big of a problem. This is just part of fighting. 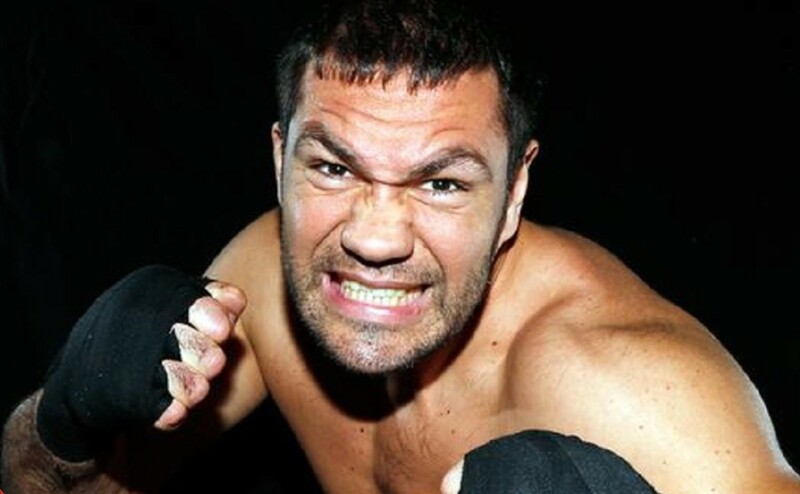 Sometimes blood makes me very hungry,” said Pulev, the IBF number one contender. While Pulev got stronger as the rounds progressed, Dinu wilted under the pressure as his offensive output dropped. “I was prepared, I was fit,” said Pulev, who hasn’t dropped a fight since being stopped by Wladimir Klitschko in five frames for the world heavyweight championship four-and-a-half years ago. Pulev decked Dinu in the seventh round when he cornered him before unleashing a series of right hand bombs. An errant punch to the back of Dinu’s head as he was going down afforded him a five-minute respite, while Pulev was docked a point for the infraction by referee Raul Caiz Sr. The reprieve didn’t last long with Pulev bludgeoning him to the canvas again shortly after the action resumed. Dinu bravely rose to his feet and was allowed to continue before quickly finding himself on the canvas again. Caiz Jr waved off the fight at the 2:40 mark. At the time of the stoppage judge Zachary Young had Pulev leading 58-56 while judges Edward Hernandez Sr and Pat Russell both had the fight even at 57-57. “I think I was very good at boxing today, I showed good punching, good strategy,” said Pulev.